We are a family run business based in Northamptonshire with over 90 years experience in the shoe industry, stocking a wide range of footwear for all types of use. 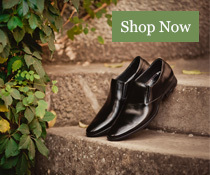 We stock a wide range of footwear including Wellingtons, Safety Boots, Safety Clothes, Leather Fashion Wear, Leather Soled Footwear, Ladies Boots, Equestrian Riding Boots and Clothing. National Stockist for brands such as Hunter, Sherwood Forest, Caterpillar, DeWalt, HX London, Oaktrak, Red Tape and many more. If you have any questions and cannot find what you are looking for please contact us and we will endeavour to answer your question to fulfil your requirements.